Follow these quick steps to ensure that your new plant friend and your existing collection plant friends – stay happy and healthy. If you didn’t already do so at the store, inspect the leaves and soil closely. 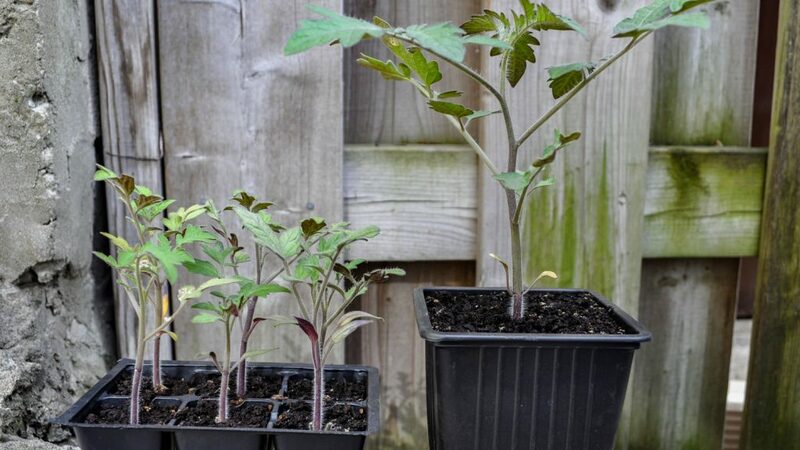 Look on both the top and the bottom of the leaves, inspect around the stems and also the top of the soil. Aphids, scale, mealybugs and all of those other plant pests can be hard to spot but look closely for anything that looks out of place. Is anything wiggling, crawling or fuzzy? Smell the soil, does it smell funky? If you see or smell anything that looks strange, set the plant away from your other plants as you don’t want to risk any type of infestation. 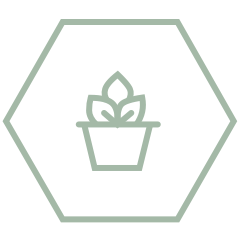 Keep your new plant quarantined for a week until you can research and assess the damage. Did you know plants breathe through their leaves? Even if the plant doesn’t look “dirty,” a little cleaning to remove dust will be appreciated. Take a soft cloth and some warm water to gently scrub the leaves clean. If they are really dirty, you can add a splash of lemon to the warm water to help cut the grime. Don’t rush this step because leaves are fragile. Be gentle, get to know each other! You are now roommates after all. 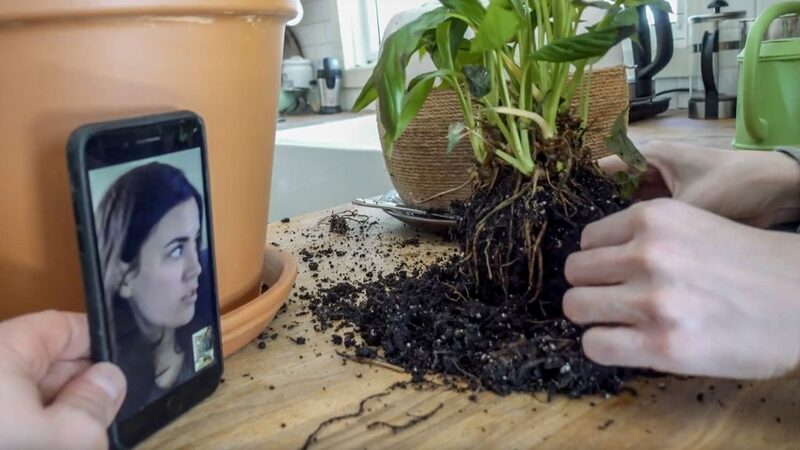 If the soil is dry, give your new roommate a deep and thorough watering. No fertilizer yet, just water. Peek at the bottom of the container. If there are several roots popping through the holes it might be time to repot. I have had the most success, however, with not repotting right away. Instead, I leave the plant in its original plastic home and put it into a decorative cachepot. This minimizes the amount of shock to your new plant while it transitions into a new space. 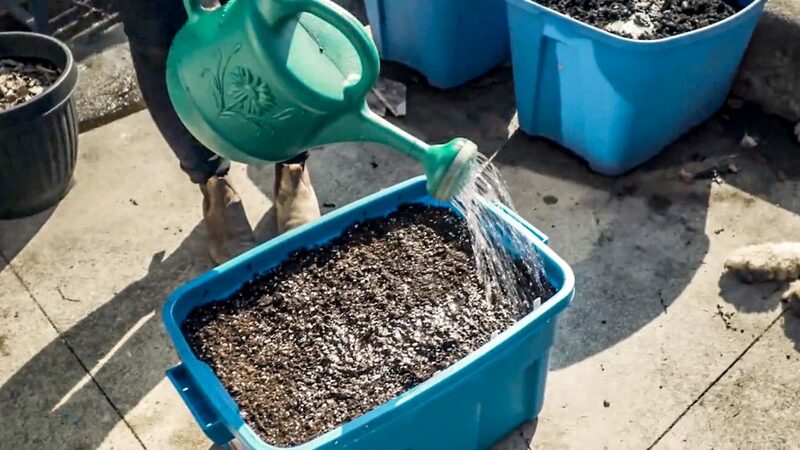 If the soil level seems low, add some soil to the container, especially if there are any roots that are exposed. Find a good spot for your new healthy, happy and clean houseplant. 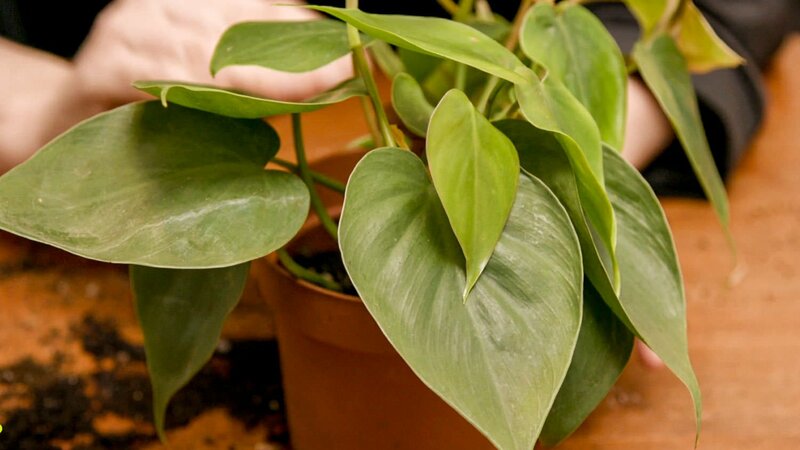 My heart-shaped philodendron, as seen in the video, now lives in a west-facing window that receives mostly bright indirect light all day. I can tell by a substantial amount of new growth, that it’s happy!